Today (April 9) at Seatrade Cruise Global in Miami Beach, FL, luxury cruise line Cunard announced new details of the partnership with famed fashion brand Badgley Mischka along with exciting news on the line’s 2020 Alaska itineraries. 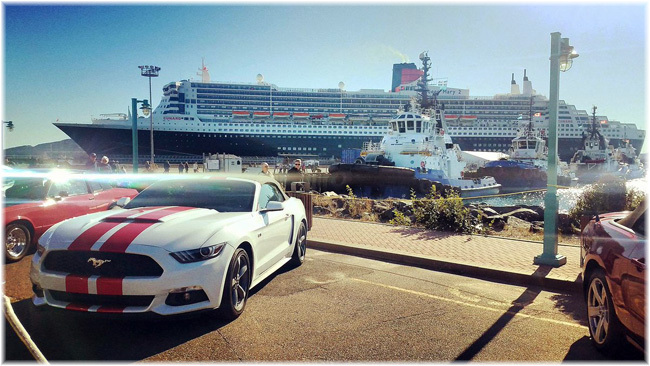 Luxury cruise line Cunard is celebrating the July Fourth holiday with a seven-night Independence Day Celebration voyage to New England and Canada on flagship liner Queen Mary 2. Luxury cruise line Cunard has announced that three of the leading wine connoisseurs and oenologists, will join Queen Victoria’s second annual ‘Voyage Du Vin’ on board Queen Victoria, setting sail in September. Luxury cruise line Cunard brings glamour to the high seas with fashion icons Mark Badgley and James Mischka, who will headline the brand’s fifth annual Transatlantic Fashion Week Crossing on flagship liner Queen Mary 2. Luxury cruise brand Cunard today unveils their Oceans of Discovery voyage program for November 2020 through May 2021, featuring Full World Voyages and in-depth itineraries in Japan and Australia. Luxury cruise line Cunard has announced the world class team of designers recruited to create the interiors for its eagerly anticipated new ship set to launch in 2022. Cunard’s Queen Elizabeth has left Damen Shiprepair Brest (DSBr) following a 12-day repair and refit programme. She is the most recent addition to the Cunard fleet, having been delivered in 2010. Luxury cruise line, Cunard, is announcing its new dining concept, ‘Steakhouse at The Verandah,’ which has become a permanent feature at the alternative dining restaurant on board the line’s three Queens—Queen Mary 2, Queen Victoria and Queen Elizabeth. Luxury cruise line Cunard today (Dec. 20) announced that it will spend a full season in Alaska from June through September in 2020 on newly-refit Queen Elizabeth. Cunard is making its grand return to Alaska in May 2019 – and due to high demand, the line will double their program in 2020. 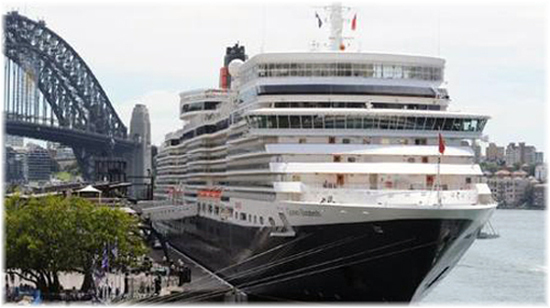 Cunard has announced a stellar line-up for its fourth annual Transatlantic Fashion Week Crossing, to take place July 28 to August 4, 2019 (M922) on the iconic luxury liner Queen Mary 2.